Brian McGinn holds an MBA from Florida Atlantic University and a BBA in Accounting from the University of Notre Dame. With over 10 years of “Big 4” accounting and Fortune 500 corporate experience, he started his practice in 1996. His mission is to provide trusted guidance for clients so they can achieve maximum business and personal success. Brian is a member of AICPA, FICPA, PASBA, and the Sarasota Chamber of Commerce. 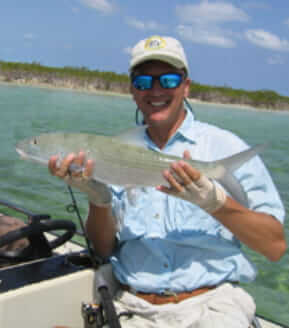 Brian’s personal interests are fishing, sailing, flying, and attending sporting events. He has been married to Lisa for 29 years. His daughter is a graduate of Clemson University and his son is an engineering student at Florida Atlantic University in Boca Raton. Our specialty is small business success. Our team excels in proactively communicating with our clients and personally guiding them through complex business management and tax-savings strategies. Our goal is to provide our clients with superior accounting solutions with the highest degree of ethics and professionalism. That’s how we do business. That’s how we’ve gained clients for life. Laser-Focused On Tax-Savings Strategies & Your Company’s Financial Success! Start Managing Your Business More Profitably Today! Contact Online OR Call Brian McGinn, CPA 941-926-4687.